For today app development considered to be one of the most booming digital trends in 2019, and perhaps will be in 2020. If you are thinking about creating a company, and you’ll need a mobile solution for your business, you should think about hiring the right agency that will be able to fulfill all your needs and grow your business. There are so many app developers’ agencies on the market, but before moving to the list of the best companies you should know that there are certain key criteria to choose the best implementor. Here is the list of these criteria. There are basically three types of platforms – native application, web-based apps, and hybrid mobile solutions. First – you should decide which platform to choose. The native applications need to be installed on the device whereas hybrid apps are a combination of native and web app. It is vital to know the previous projects of the company to get an idea of the expertise of the team. You will also come to know that the company is delivering the projects on time or not by checking the references. You can also see the precision level of the work the agency delivers. The team of developers should be an expert and have enough knowledge to create stunning applications for you. You can easily check the company profile on Clutch or Goodfirms etc. In fact, you can go through the employee profile and see their skills. When you choose the company then you should check the suitable features it is providing and its preferred price. There are numerous factors on which the cost is decided but it is vital to check its popularity and reviews as well. If you want your business to reach new heights and fulfill the technical needs then the following mobile app development companies will help to reach your goals. Skywell Software – mobile app development company, known for delivering innovative and engaging apps for Android and iOS devices. It is a renowned company with its outstanding capabilities and the high-class team of experts including creative designers and skilled iOS / Android developers. It offers stunning mobile solutions for business clients combining agile app development and cutting-edge technology. This company helps its clients to evolve mobile technologies from creating a solid strategy for launching great apps and its products. The 4 main core areas of the company are research and strategy; the process of application development itself; optimization; augmentation of client workforce. The Hyperlink Infosystem team offers a customized app solution to fulfill the expectations of the clients at cost-effective rates without compromising the quality of the project. The team of experts is highly skilled in programming mobile apps with unmatched execution and design. Agency has been recognized as one of the best design/development firms in New York City. It has a huge experience in delivering a powerful app solution to the clients worldwide. The team assures the on-time delivery by following the three-step procedure – research, design and build. Nomtek was founded in 2009 and for today its main goal is to deliver the efficient mobile product that astonishes the usability, reliability and beautiful graphics to fulfill all the needs of their clients. Agency works with small to large enterprises empowering them with digital and innovative solutions. It has a diverse industry experience providing quality services incorporating the latest tools and technologies. There are tailored solutions for all your business needs. The team is highly expert with passionate techies, designers, and developers. Intuz has a world-class technical team and robust infrastructure to meet all your business expectations. It serves the customers globally with mobile application creation, cloud app marketing service and enterprise mobility. Metellio provides the end to end mobile app projects – from designing to launching stage. The company provides winning strategies, stunning graphics and powerful web development. Its known for its talented team, competitive prices, and on-time delivery. Corporation provides the full range of development services to startups and enterprise organization from different industries. 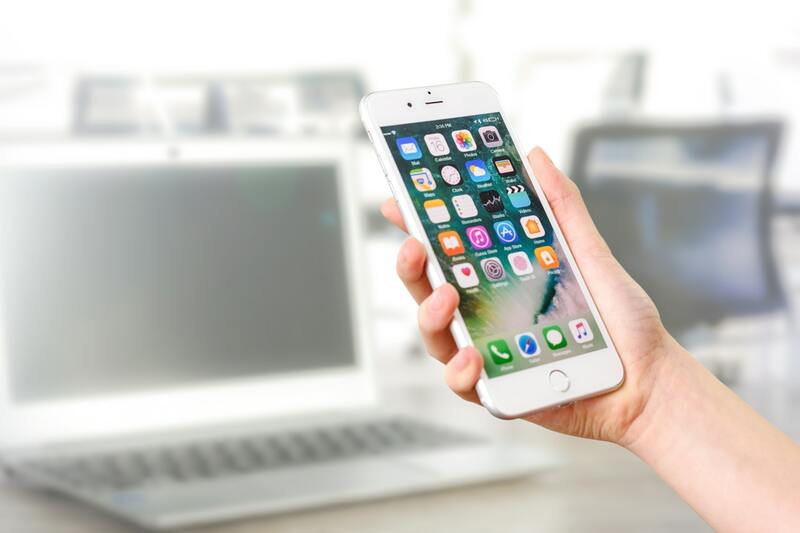 These were some of the most trusted mobile app firms to help you grow your business generating positive ROI and stay equipped with the latest technology trends. You can contact them directly to find the most appropriate company for your business, but don’t forget about the criteria of a good agency – check all the companies to choose the best one.